Canada’s premier imaging equipment rental service. Serving pros and serious hobbyists for 40 years. At Vistek, we have over 40 years of experience renting to professionals. We know what you need and how to get it to you. Why rent? Renting opens up a whole new world of creative opportunities. It allows you to expand your shot list without incurring a huge expense. By renting, you can add a second camera to your shoot, a quiver of lenses, or expensive lighting gear. Or maybe you just want to try something new before you buy it. Avoid surprises. 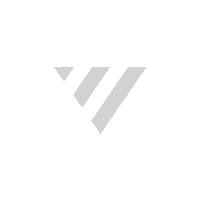 Rent from Vistek – Canada’s largest rental department. When you call to book a piece of equipment, our rental staff can tell you immediately (and accurately) whether it's available and, if it is, book it for you on the spot. We can also tell you exactly when a given item will become available if it is out. Our equipment is up to your standard. All our equipment is well-maintained and guaranteed to be in good working order. We also refresh our rental inventory on a regular basis so the equipment you rent is as good as new, whether it's a medium format digital back, the latest digital camcorder or a classic Lowel lighting kit. In the same way Vistek offers the latest technology for sale, we keep our rental department stocked with leading edge technology. There's no reason you have to settle for last year's camcorder when you rent from Vistek. And if you want to rent something that isn't currently offered? Just ask. Our policy is to consider adding any item to our rental stock that has been requested by a customer. Nine times out of 10, we're able to satisfy that request. The largest stock in town offering the widest selection. We stock hundreds of items you just won't find at other rental houses and our wide range of equipment means we can outfit you with full solutions - from cables, camcorders, decks and recorders to computers and complete studios. Our rental equipment specialists are here to provide advice and make sure you know how to use the equipment you're renting. Delivery available coast to coast. We can deliver anywhere in Canada at a surprisingly low cost. We offer special, reduced, long-term rental rates to make it feasible to rent for weeks or months at a time..
Avoid surprises. Rent it from Canada’s leading rental department. We update gear regularly and test it before you rent it. When you come in to pick it up, the gear is ready to go to work. Fees are listed as Day, Additional Day and Week. Our policy: the longer you need the gear, the better the deal. If you need the gear for longer than a week, we offer a great price. We’re flexible. We will accommodate you in any number of ways, from working out a more flexible pickup or drop-off time, to arranging delivery. We rent hundreds of products and we add new gear on a regular basis. Tell us what you need and we promise to do our best to make it happen. To help with the selection of gear, our experienced staff of photo and video rental associates will work with you to find the best solution. When you call to rent a piece of equipment, we can tell you its availability, and can book it for you on the spot.